I made this Lovely Lemon Drop Cheesecake to bring to a friend’s bridal shower. I thought it would be a pretty addition for #SummerDessertWeek as well as the bridal shower buffet table. I wish you could have heard the oohs and aahs when I walked in with it. I’d never made such an entrance before, but then again, I’d never walked into a party holding such a showstopper cheesecake before either! LOL! **Please Note – The printable recipe card with detailed instructions, complete ingredient measurements, and nutritional information for making Homemade lemon cheesecake is available near the end of this post. The flowers I added to the top of this Lemon Drop Cheesecake are ones I purchased from the grocery store. I think they’re called Shasta Daisies. They are non-poisonous. I had wanted to use different flowers from my gardens, such as sweet peas and something I believe is called “stock”, but after doing a quick internet search, I found out that those types of flowers are poisonous so I had to go in another direction. Even though the flowers on top of the cake weren’t going to be consumed, it’s still better to err on the side of caution and make sure that if you’re using real flowers on anything edible you always do your research first! For this lemon drop cheesecake, I made the lemon curd topping using Ina Garten’s recipe (shout out to Ina) which can be found HERE. However, I also have a recipe on my blog for lemon curd which is as equally delicious as Ina’s (yes, I did just go there), and can be found HERE. Can store-bought lemon curd be used? If you prefer to use store-bought lemon curd, by all means, do. The only thing I might suggest is that you add some fresh lemon zest to the store-bought variety to pump up the lemon flavor, and if needed (but totally optional) add a drop or two of yellow food color to intensify the color. The only other things you’ll need are a 9-inch springform pan, a few bowls, a hand mixer and a little over an hours worth of time, but most of that is spent waiting for the cheesecake to bake in the oven. *Disclaimer – This post and recipe was created for #SummerDessertWeek! I was sent samples by some of the sponsor companies but as always opinions are 100% mine. To make the lemon curd, remove the zest (yellow part only) from 3 lemons into a food processor. Reserve about 2 tablespoons on the zest and set aside. Add granulated sugar to the lemon zest and pulse again until the mixture resembles wet sand. In a medium bowl, juice the lemons to supply a ½ cup of fresh juice. In a large bowl using a hand mixer, cream together softened butter and the lemon zest and sugar mixture. Add beat eggs into the butter-sugar mixture (one at a time) until thoroughly combined. Add the fresh lemon juice and a pinch of salt to the lemon, sugar and egg mixture. Pour the entire mixture into a medium saucepan. Heat the lemon curd over medium/low heat, stirring constantly until the mixture thickens. *Note – this will take approximately 15 minutes. Allow the lemon curd to cool slightly and then strain it into a medium bowl. Store until the lemon curd in the refrigerator until it’s time to top the cheesecake. *Note – the lemon curd will thicken as it cools. Pulse the Pecan Sandies cookies in a food processor to form crumbs. Add melted butter and pulse again to form a consistency of wet sand. Press the prepared cookie crumbs into the bottom of a 9-inch springform pan that has been sprayed with baking spray. 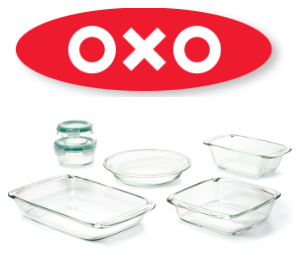 Bake the crust in a preheated 325-degree oven for 15 minutes. Remove, and cool while you prepare the filling. While the crust bakes, crush lemon drop candies to supply approximately ½ cup of crushed candy pieces. Set aside the crushed candy. In a large bowl, blend 4 packages of room temperature cream cheese until soft. Add in the Greek yogurt, and 4 eggs, beating after each addition. Stir in the 2 tablespoons of reserved lemon zest (from making the lemon curd). Add the vanilla extract, and the crushed lemon drops candy. Stir well to combine. Pour the cheesecake batter evenly into the prepared springform pan that has been placed on a baking sheet. Turn the oven off and allow the cheesecake to cool in the oven with the door ajar for at least 30 minutes. Remove the cake from the oven and allow to cool 30 more minutes on a baking rack before running a spatula around the rim of the pan to loosen the cake. Remove the cake collar and allow the cheesecake to cool completely before adding the lemon curd topping. 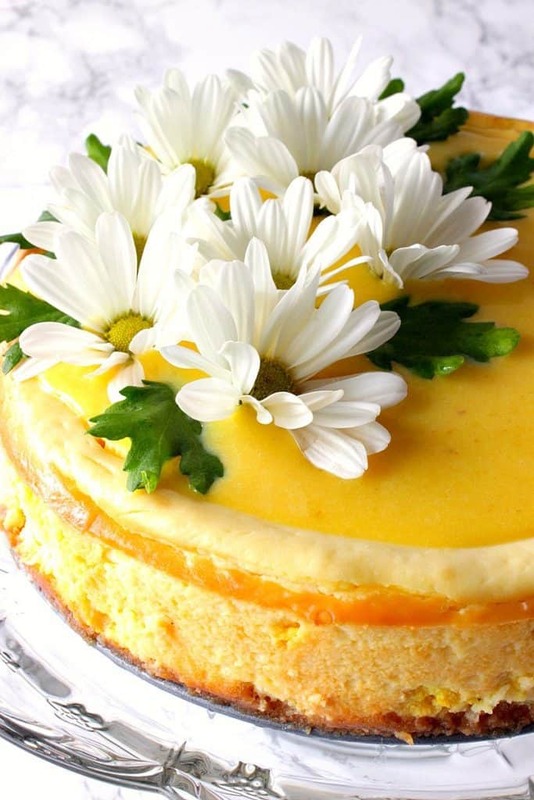 *Note – the lemon curd topping will nicely cover any cracks that have formed on the top of the cheesecake, and garnish the top of the cake with any sort of non-poisonous flower that you like. Below is the printable recipe card for today’s Lemon Cheesecake with Lemon Curd Topping. If you'd like to surprise your family and friends with a showstopper dessert, then this Lovely Lemon Drop Cheesecake with Lemon Curd Topping is just the ticket! Use a vegetable peeler to remove the zest from the lemons. Finely mince the zest in a food processor. Add the granulated sugar to the zest and pulse to combine. Reserve 2 tablespoons of the zest and sugar mixture, and set aside. In a medium bowl, cream the butter and sugar/lemon zest mixture. Beat in the eggs, one at a time and then add the lemon juice and salt. Mix to combine. Pour the lemon mixture into a medium saucepan can cook over medium/low heat until thickened, stirring constantly (approximately 10-15 minutes). Remove the curd from the heat and cool slightly before straining it into a medium bowl. Once strained, cover the curd with plastic wrap and chill while you prepare the cheesecake. *Note - the curd will thicken further as it chills. Spray a 9" springform pan liberally with baking spray. Use the food processor to pulse the cookies to form fine crumbs. Pulse in the sugar, and the melted butter. Continue pulsing until the mixture resembles wet sand. Press the cookie crumbs evenly and firmly in the bottom of the prepared springform pan. Bake the cookie crust in the preheated oven for 15 minutes. Remove and cool. In a large bowl, use a hand mixer to blend the softened cream cheese with the Greek yogurt. Scrape down the sides of the bowl with a spatula as needed. Beat in the eggs one at a time blending well after each addition. Add the reserved lemon zest, vanilla extract and crush lemon drop candy to the cream cheese mixture, and stir well to combine. Place the cookie crust in the springform pan on a baking sheet. Pour the cream cheese mixture evenly into the springform pan and bake the cheesecake in the preheated oven for 60 minutes, or until the cheesecake is only slightly jiggly in the center. Turn off the oven and allow the cheesecake to stay in the oven with the door ajar for 30 minutes. Remove the cheesecake to a cooling rack and cook for an additional 30 minutes. Run a knife or spatula around the outer rim of the springform pan, open the collar of the pan and gently remove. Allow the cheesecake to cool completely before adding the lemon curd and flowers. 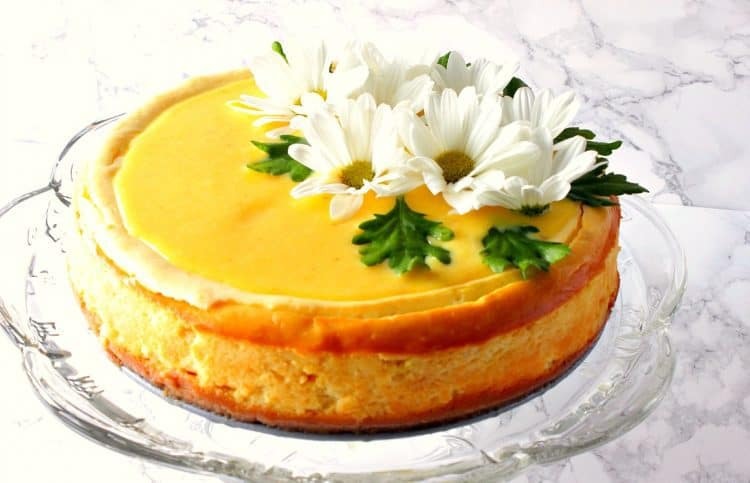 Once the cheesecake is completely cool (you may refrigerate if desired), fill in any cracks on the top of the cheesecake with the lemon curd, and then spoon additional lemon curd evenly over the top of the cheesecake and garnish with non-poisonous flowers if desired. Chill the cheesecake if desired but allow it to come to room temperature before slicing and serving. I hope you’ve enjoyed this recipe for Lovely Lemon Cheesecake with Lemon Curd Topping for #SummerDessertWeek as much as I’ve enjoyed bringing it to you. 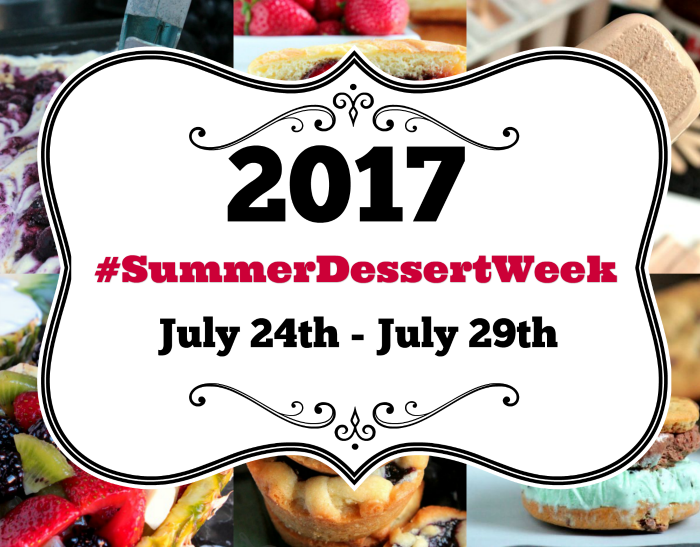 I’m participating in #SummerDessertWeek three days this week. The first recipe I shared for this year’s #SummerDessertWeek was this one for No Churn Banana Walnut Ice Cream. This Lovely Lemon Cheesecake with Lemon Curd Topping is my second recipe, and I have a third recipe coming up on Thursday, July 27th which is for my Triple Chocolate Cherry Ice Cream with Kahlua, which features some of the best cherries from the Rainier Fruit Company (another one of our fine sponsors). 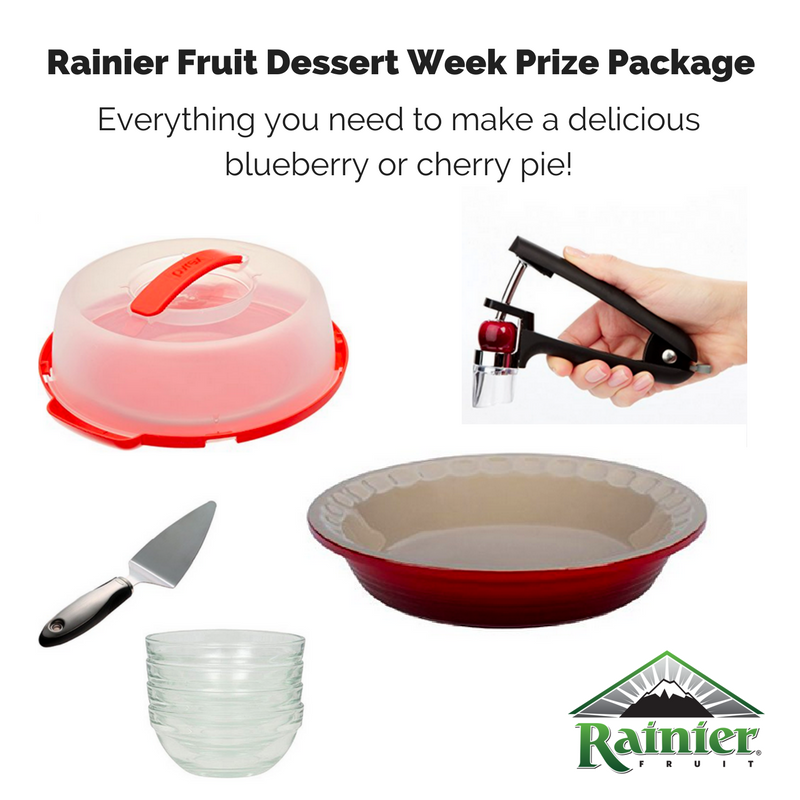 And now, without further ado, please click on the below recipe titles to find out what all the other #SummerDessertWeek food bloggers are dishing up, and while you’re scrolling, don’t forget to enter the fun giveaway down below that we’re offering with wonderful products supplied from our sponsors. 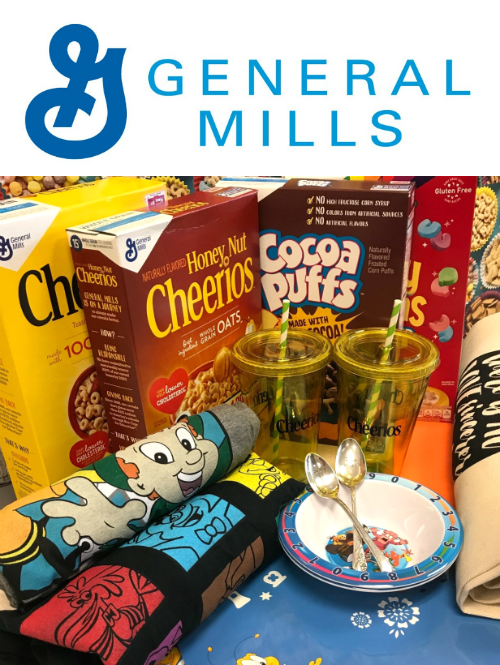 Prize #5 — General Mills Cereal is giving one winner 4 boxes of cereal, 2 Big G Cereal character bowls, 2 Big G Cereal character, 2 “Good Morning” spoons, 2 Cheerios tumblers with straws 1 long-sleeve Cereal Character hooded t-shirt, 1 short-sleeve Cereal Character t-shirt. Giveaway open to US Residents 18 years or older. All entries will be verified. No PO Boxes Please. Prizes will be sent directly from sponsors to winners, bloggers are not responsible for prizes. This giveaway runs from July 24th until July 30th at 12AMEST. Winners will be selected soon afterward and contacted by e-mail. Winners will have 48 hours to respond or a new winner will be chosen. There are a total of 6 (six) prizes and therefore we will have a total of 6 (six) winners. No purchase necessary. Void where prohibited by law. Disclaimer: These posts and recipes are part of the week-long event, #SummerDessertWeek but all opinions are 100% mine! 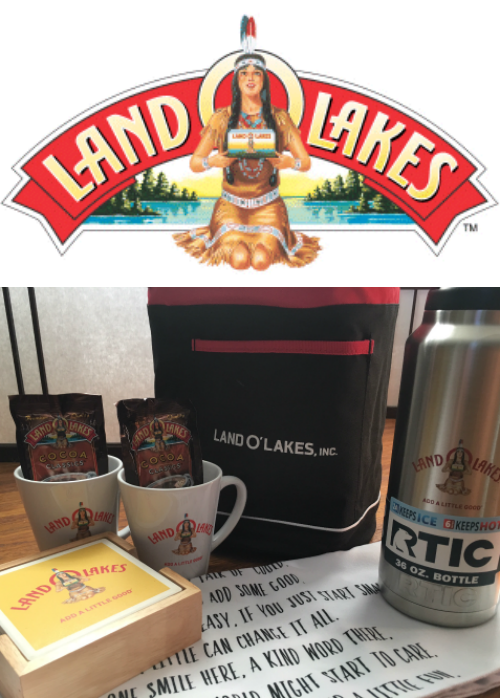 We would like Thank our amazing sponsors: Dixie Crystals, Rainier Fruit, OXO, Adam’s Extract, Land O’Lakes and General Mills Cereal! 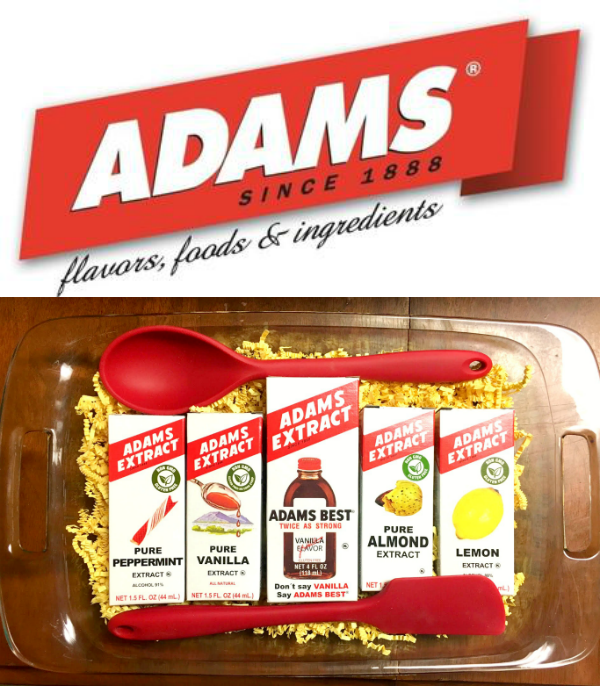 These wonderful sponsors provided the prize packs for our giveaways and also sent samples and products to the #SummerDessertWeek bloggers to use in their recipes. 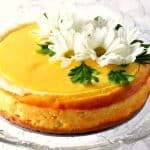 I sincerely hope you’ve enjoyed this recipe for Lovely Lemon Drop Cheesecake with Lemon Curd Topping as much as I’ve enjoyed bringing it to you. Should you have any questions or comments regarding this recipe or anything else you’ve seen on my site, please don’t hesitate to contact me directly, or leave me a comment in the comment section below. It is always my distinct pleasure to get back to you with a reply just as soon as I possibly can! that is one beautiful cheesecake! I love the flowers on top too! Ever time I receive your emails look forward to reading the blog. Pictures,recipes and everything you work on comes out beautifully. Thank you for the ideas and hard work. The blog shows how much fun you have in showing us what we can do. This is the nicest thing you could have said to me! Thank you so much for taking the time to let me know. I appreciate it very much!! I have always wanted to try my hand at making lemon curd. You made it seem easy enough to do! This looks delicious. This is simply beautiful! I love making lemon curd and also love cheesecake so this is a must make. Thank you so much. I’m glad you will be making it! this is the prettiest cheesecake ever. Thank you so very much. The flowers really add a nice, summery touch! LOVE the step-by-step and have to say I think this is so beautiful, one of the prettiest desserts I’ve seen – what a treat!! Thank you so much, Debra! I really appreciate it! Thank you so much, Debra! I’m thrilled that you think so! I haven’t made a lemon cheesecake in ages! Yours is gorgeous, Renee! 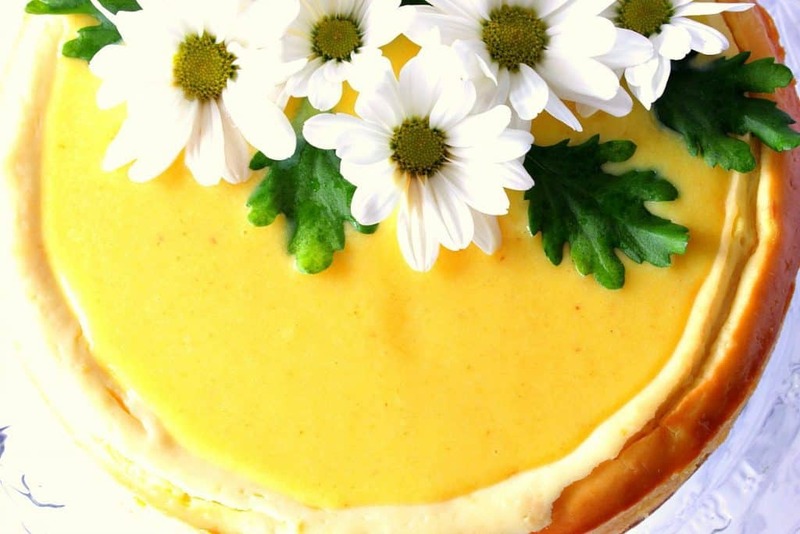 I love your idea of topping a lemon cheesecake with lemon curd, and your presentation is so pretty! Must try this soon, I bet it taste amazing. This makes my lemon loving heart happy! Your cheesecake looks amazing Renee! Me too! So glad you like a lot to lemon, Robin! Enjoy! From the homemade lemon curd to the creamy cheesecake, this dessert deserves every “ooo” and “aah”. A keeper, for sure! This cheesecake is so gorgeous! It just screams summer in such a beautiful way! I love it! Really gorgeous! I can’t wait to try it!